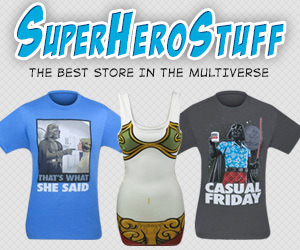 Why must t-shirt makers create such awesome t-shirts that I have no choice but to buy them? 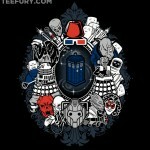 My closet is already full of geeky t-shirts and now I feel compelled to buy this one to add to my wardrobe! 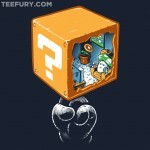 It never ceases to amaze me how well the Super Mario Bros universe and the Doctor Who universe go together. 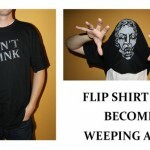 I already have a shirt with Mario trying to steal the plunger looking thing off of a Dalek and now somebody has made a shirt with a Boo vs a Weeping Angel. 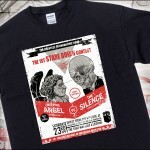 For those who want this awesome Boo vs Weeping Angel t-shirt, you can get it from BustedTees for $20. 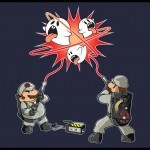 Pass this along to any Super Mario Bros fans and Doctor Who fans you know! Like us on Facebook too!